The southern province of Binh Duong held a workshop on June 1 in Paris, France to promote investment opportunities to French businesses. Speaking at the event, Vietnamese Ambassador to France Nguyen Ngoc Son praised the workshop, saying it was an opportunity to introduce the business and investment environment of Vietnam and Binh Duong in particular. France is one of Vietnam’s leading trade partners in Europe, he noted. The two countries bilateral trade hit 4 billion USD in 2016, the ambassador said, adding more than 300 French enterprises poured total capital of 3.4 billion USD in Vietnam. Projects from 35 French firms have been implemented in Binh Duong province so far, said Marianne Sasserant, Director of International Department, the Paris Ile-de-France Chamber of Commerce & Industry. Vice Chairman of the Binh Duong People’s Committee Mai Hung Dung said his province is one of Vietnam’s leading localities in attracting foreign direct investment. To date, the province has lured 2,992 foreign-invested projects with total capital of 27.3 billion USD from 59 countries and territories, he added. According to him, high-technology, supporting industry, IT, manufacturing mechanic and manpower development, among others are sectors that want investment. 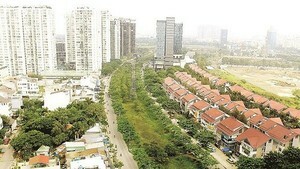 He affirmed Binh Duong will create the best conditions for foreign investors, especially those from France. During the workshop, representatives also discussed their experience in investment in the Southeast Asian country to ensure benefits for both French investors and Vietnamese partners.